In term of financial positions, Perum LKBN Antara is running well in the business year of 2014. 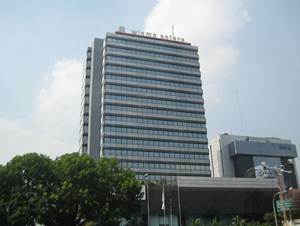 According to Perum LKBN Antara Annual Report 2014 as cited by JobsCDC.com, Perum LKBN Antara registered total net profit of Rp 8.4 billion in 2014 as compared with a loss of Rp 3 billion in 2013. Perum LKBN Antara booked total revenue of Rp 232.9 billion in 2014. This number is up 29.95% from Rp 184.9 billion in 2013. S1 Computer (hardware or software) with GPA min. 3.00. Holds around 1-2 years experience in Telecommunication or application industry. Have a good understanding about Symantec Ghost Multicasting Server, Router Security problem, PC Hardware knowledge, Microsoft Windows, Word and Excel. Good communication skills especially in English and proactive work attitude. Able to learn and work with new technologies. Able to learn independently when equipped with on line training. Able to speak English Active. JobsCDC.com now available on android device. Download now on Google Play here. Please be aware of recruitment fraud. The entire stage of this selection process is free of charge. Perum LKBN Antara - IT Support Bloomberg Field Service Technical Support ANTARA October 2017 will never ask for fees or upfront payments for any purposes during the recruitment process such as transportation and accommodation.